"Although I know a lot of the previous shuttle flights, in theory, had their tasks laid out; but there were still some changes that came along for them"
This quote is written / told by Linda M. Godwin somewhere between July 2, 1952 and today. 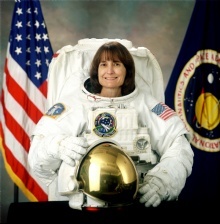 She was a famous Astronaut from USA. The author also have 20 other quotes.